Hearing Aids, bluetooth and your phone – how does it all work? You are here: Home / Buyer Guides / Hearing Aids, bluetooth and your phone – how does it all work? Over the past few years, hearing aids have changed drastically. There have been two major changes, both of which greatly benefit the consumer. More retailers have entered the market and advances in technology have allows gadgets like Bluetooth hearing aids to be made available for the first time. The fact more manufacturers and retailers have become involved in the market has helped to give consumers more choice and has bought the price down. New technology and materials has also helped with choice. Finally there’s also the internet, consumers can now do more research of more models and there are ways of making sure you always buy safely online and you are never left holding lemons! However, the biggest positive change to come out of new technology is the fact that more people can benefit from wearing a hearing aid. Older hearing aids and amplifiers could not be adjusted much. This meant they only helped with certain kinds of hearing loss. Today, they can help with all kinds of hearing loss. The emergence of digital technology has opened up all sorts of possibilities. Digital hearing aids can be more finely adjusted. More channels are available, making it far easier for someone to find settings that work for them and adjust them in the future if their hearing deteriorates. 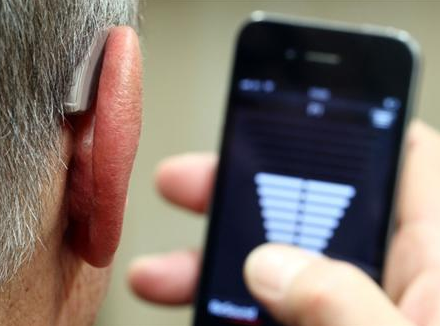 Another big advance has been the integration of Bluetooth technology into personal amplifiers and hearing aids. This capability allows you to connect your hearing device direct to your phone or another compatible Bluetooth device. Much better sound quality – if you are connected in this way the sound is being bought direct to your ear. No nasty buzzing – many hearing aid users will tell you one of the biggest problems is using the phone when wearing one. Hearing devices that use older technology have a tendency to buzz and crackle when the person wearing them uses the phone. This is because of feedback between the components in the phone and the device that sits in the ear. Using Bluetooth the phone need never come in close contact with the ear, which means no feedback, so no nasty buzzing. More comfortable – when you put the phone up against your ear you end up pressing your ear against the hearing device. After a few minutes of use, this can be very uncomfortable. With a hands free option you can hold your phone or leave it on the desk, so you never have this issue. Video calls are viable – you can make a video call the same way everyone else does. There is no need to wear headphones, which can be very uncomfortable if you are wearing hearing aids as well. What kinds of Bluetooth hearing aids are there? There are several types of Bluetooth hearing aids available to buy online today. However, here we have to offer a word of warning to our readers. Whilst researching hearing aids we have noticed that some makers of hearing gadgets describe their devices as Bluetooth devices, when in fact they are nothing of the sort. They merely mean that their device looks like a Bluetooth phone device, not that it can work as a Bluetooth device. For this reason, it is important to check the specifications in detail before buying. OK enough of the negative, back to the useful information. Here are the two main types of Bluetooth hearing aids. The majority of Bluetooth hearing aids simply allow you to make and receive phone calls. They have the same level of capabilities as ordinary mobile phone Bluetooth headsets do. They are very handy, but there is a new generation coming to market that allow you to do far more than that. 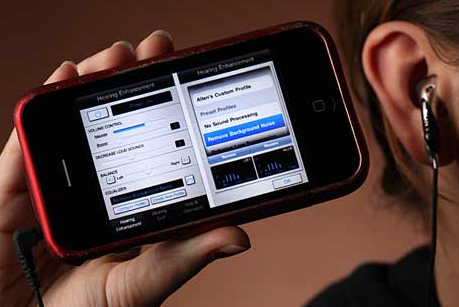 An innovative programme developed by Apple powers this new type of hearing aid. Their MFi Program allows the hard of hearing to wear an aid that can be adjusted from their Apple device. 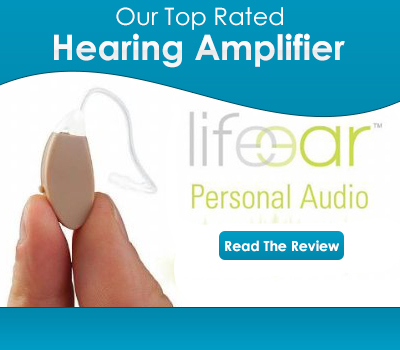 This gives the users the flexibility to adjust how they hear on the fly. They can turn the volume up if they are watching TV, change the frequencies and channels and even set up customised programmes. It also has full Bluetooth phone capability. In addition, it is possible to listen to things like directions from your GPS system, music and talking books. The product is called the ReSound LiNX, and it is being slowly rolled out, but should be globally launched during the summer of 2014. You can read our full ReSound MFi Linx article here. How much do they Bluetooth enable hearing devices cost? The price of the ReSound LiNX is still to be confirmed, but is expected to cost around $3,000. To benefit you will need an iPhone or iPad. It may also work with an iPod. However, if all you want is the capability to link to your phone via Bluetooth you do not have to pay anywhere as much. You can find this kind of hearing aid for between $250 and $350. Do I need to see an audiologist? If you want a Bluetooth enabled hearing aid, you still need to get a diagnosis from an audiologist before buying one. Please bear in mind that not having your hearing loss properly diagnosed can lead to your condition getting worse when in fact it can be treated, maybe even reversed. Once you have a diagnosis and know what kind of hearing device to buy we recommend that you look online for one. It is now possible to buy a Bluetooth enabled hearing aid from Amazon, at least in America. This is good news because the price on this site is often lower than it is elsewhere. One of the best personal sound amplifiers, the CS10 has Bluetooth capabilities. With this particular product, you are buying from the actual manufacturers who choose to market on Amazon because they can reach so many more potential customers by doing so. This product can be paired with virtually any Bluetooth enabled phone. I was surgery acoustic neuroma for 5 years ago and have deafness at right ear .Can I use 2 bluetoohs hearing aid to help me hearing from right side to left side interplete and can get right direction .now I loss my hearing direction. please advice andrecommend the product about bluetook both ears to me .How can I used which one product that suitable for who is deafness one ear and the other side is normal ear ? I’ve heard about these pairing with your phone…..any additional reviews from people who have actually used this?